Prognostication occupies a central role in medical decision-making. An understanding of prognosis and relevant disease trajectory models is key for healthcare professionals caring for patients with progressive life-limiting conditions. It is a challenging aspect of professional practice for many, both because of its inexact nature and fears regarding the impact of prognostic disclosure. The research literature presented provides insight into the fallible nature of clinical predictions of survival and factors that may mitigate against this, including an understanding of prognostic indicators. Prognostic indicators including biomarkers and prognostic tools, which may be applied in advanced cancer and life-limiting nonmalignant conditions, are reviewed. Desire for prognostic information varies between individuals and within individuals over time; the outcomes of research studies that elicited the views and preferences of patients and bereaved relatives regarding prognostic disclosure are presented. 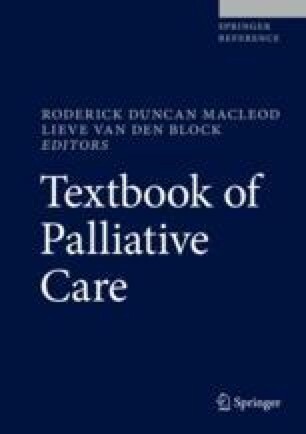 The challenges inherent in diagnosing dying and key considerations are discussed, within the context of recent discontinuation of the Liverpool Care Pathway in the United Kingdom.